Инструкции | Мануалы | Сервисные письма. Санкт-Петербург | ЗАО ЦНИИМФ | 1997. Часть II Корпус, помещения, устройства и системы судна. Часть III. Судовые дизельные установки. Часть IV. Судовые паровые турбоагрегаты. Часть V. Судовые паровые котлы. Часть VIII. Судовые холодильные установки. Тип документа: Справочник | pdf. Цель настоящей книги - представить общую информацию о конструкции и обслуживании двухтактных крейцкопфных двигателей фирмы MAN B&W Diesel. 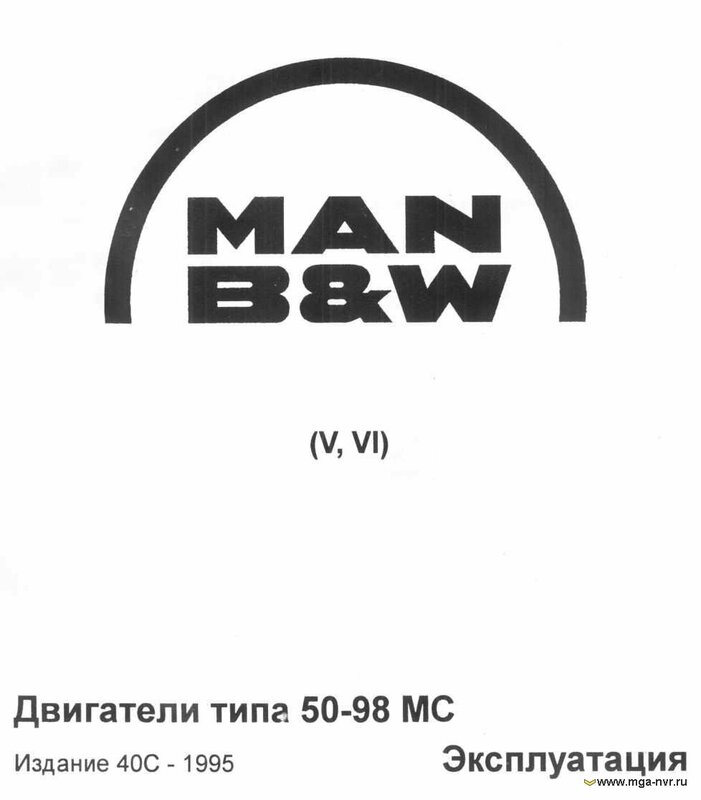 Содержание книги подготовлено на основе стандартного двигателя типа S60MC, но она не подлежит использованию для какого-либо определенного двигателя. Все ссылки на эту книгу должны включать в себя ее наименование, номер издания и, возможно, номер страницы. Alfa Laval is an acknowledged market leader in pumping technology, supplying Centrifugal and Positive Displacement Pumps world-wide to various key application areas such as food, brewery and pharmaceutical. This pump handbook has been produced to support pump users at all levels, providing an invaluable reference tool. 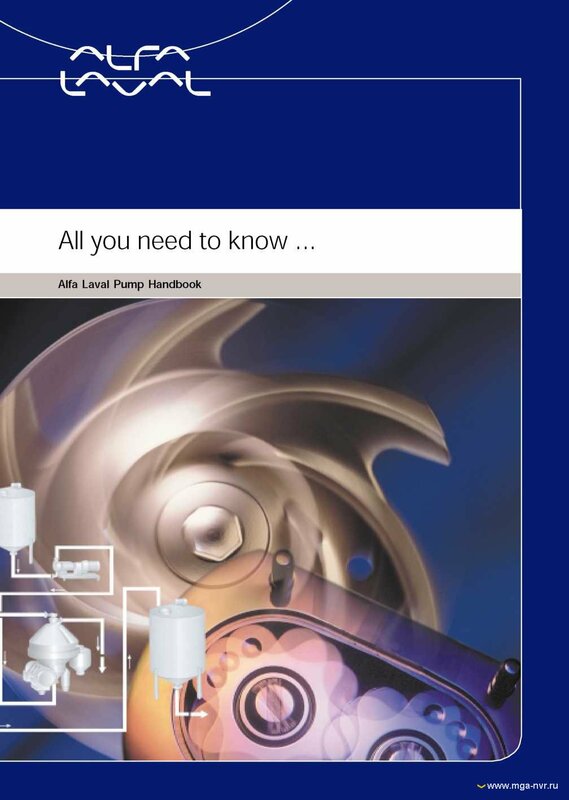 The handbook includes all the necessary information for the correct selection and successful application of the Alfa Laval ranges of Centrifugal, Liquid Ring and Rotary Lobe Pumps. 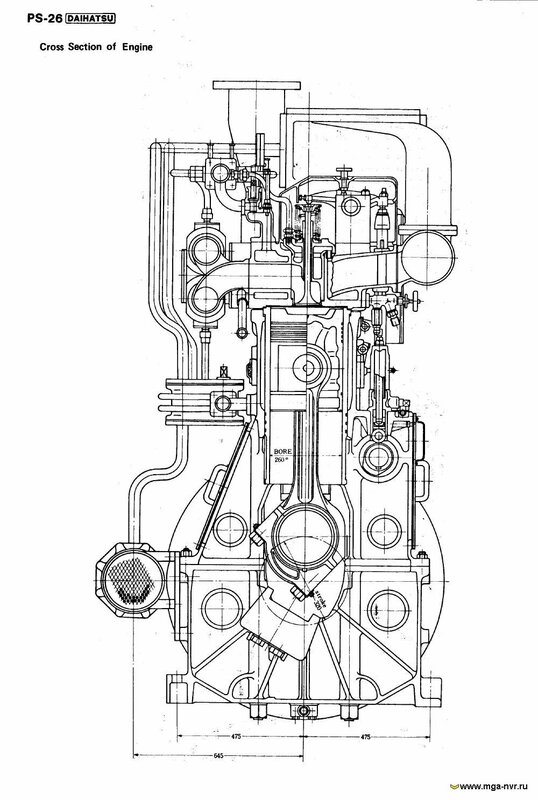 Автор: Dr. Claes Stenhede/Alfa Laval AB. 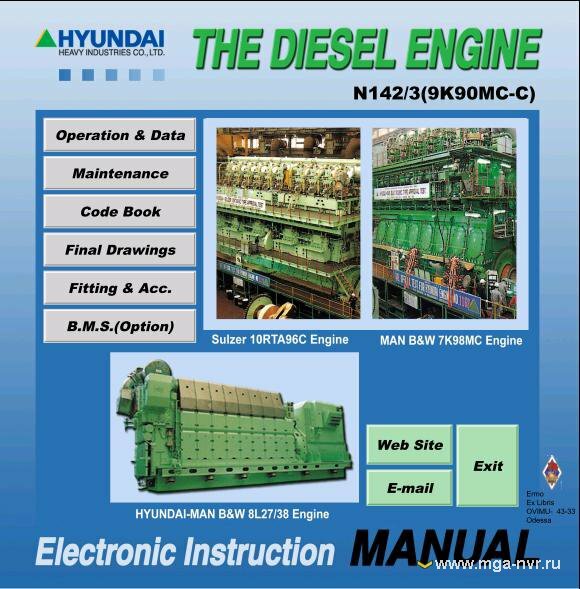 One of the most important applications is refrigeration system, the topic of this manual. 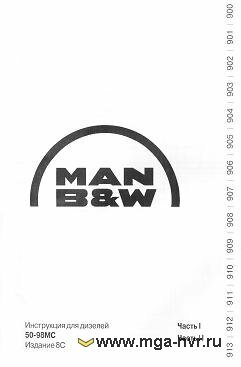 This is the fourth edition of the manual. Since the first edition, there has been an intense debate about refrigerants, both new, with and without glide and natural, such as pro-pane and ammonia. This debate has influenced the devel-opment of equipment including plate heat exchangers. One of the effects on PHE's has been that the old boundary between the small BPHE for halogenated hydrocarbons in direct expansion systems and the large semiwelded PHE for ammonia in flooded systems has disappeared. Ammonia is increasingly used in direct expansion systems in nickel brazed PHE's and there are large brazed PHE's suitable for flooded systems. Автор: Alan Records Ken Sutherland | Elsevier Science. The decanter centrifuge has become a major processing tool in a wide range of liquid/solid separation applications. This handbook aims to be a thorough introduction to the design, performance and application of the decanter. 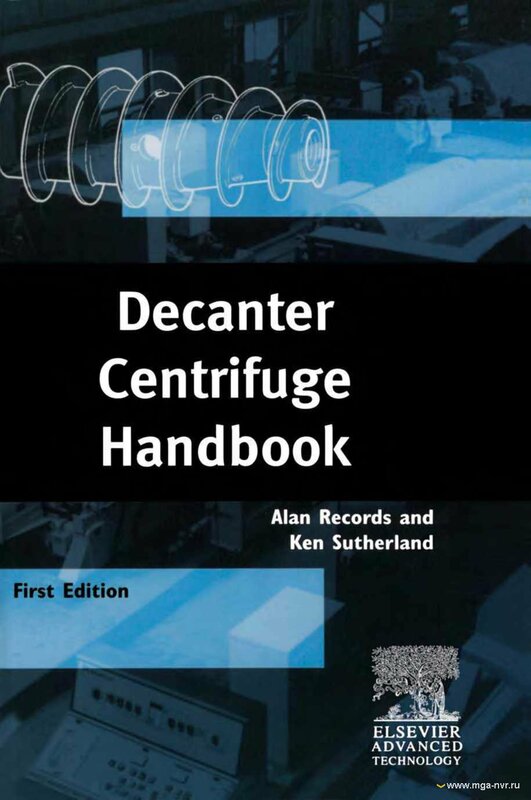 It aims also to be a useful guide for the centrifuge engineer, both in equipment manufacturing companies and in the end-user companies, and their associated contractors and consultancies. The handbook's first chapter introduces the reader to the decanter, to its history and to the manufacturing sector within which it is made. The contents of this chapter are intentionally brief, with major expansion of the topics covered in later chapters of the book. РАЗДЕЛ 1 - УПРАВЛЕНИЕ БЕЗОПАСНОСТЬЮ. РАЗДЕЛ 2 - ПРОЦЕДУРЫ БЕЗОПАСНОСТИ . РАЗДЕЛ 3 - ПРОЦЕДУРЫ БЕЗОПАСНОСТИ ДЛЯ ОТДЕЛЬНЫХ ТИПОВ СУДОВ. Руководство по эксплуатации регулятора UG-8. Настоящее руководство по эксплуатации (РЭ) распространяется на регуляторы UG-8, изготавливаемые фирмой «Вудворд» и устанавливаемые на двигатели внутреннего сгорания (ДВС) и вспомогательные турбины морских судов. обслуживанию и применению в соответствии с их назначением. Тип документа: Справочник | tiff. The Daihatsu PS—26 Type Diesel Engine takes pride in its excellent performance and enduring characteristics, as special emphasis has been placed in its simple and sturdy construction, easy operation, compact size, light weight and high output. Contents: § 1. General PS-26 DAIHATSU. § 2. Construction of main parts PS-26 DAIHATSU. § 3. Fuel oil, lubricating oil and cooling water. § 4. Operation and daily inspection. § 5. Maintenance.